Chicken is a mealtime favorite, with Americans eating close to 92 pounds per person (!) last year. When it comes to the reasons that we tend to choose chicken over other types of meat, healthiness, versatility, and convenience top the list. And, this Instant Pot Jerk Chicken Recipe checks all three of the boxes! Jerk is a style of cooking native to Jamaica, in which meat is dry-rubbed or wet marinated with a hot spice mixture called Jamaican jerk spice. The main ingredients of Jerk spice seasoning are allspice (called “pimento” in Jamaica) and Scotch bonnet peppers. Other ingredients may include; cloves, cinnamon, scallions, nutmeg, thyme, garlic, brown sugar, ginger, and salt. The traditional Jerk cooking method involves slowly cooking the meat over a smoking wood fire. 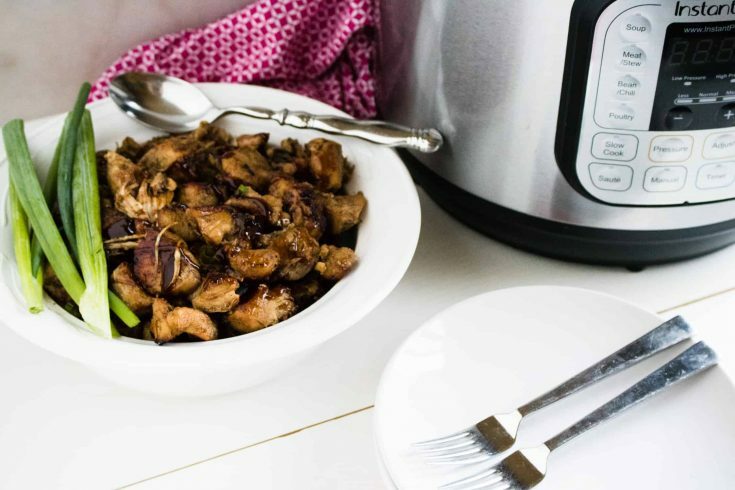 But thanks to the multi-function wonder that is the Instant Pot, in just 12 minutes, you can enjoy the deliciously smoky, spicy Jerk flavor that would otherwise take hours to achieve. Plus, with the Instant Pot you can simply toss the ingredients in, set it, and walk away. It’s just that easy! Jerk chicken is commonly served alongside caribbean-style rice and beans, which is made with coconut, allspice, and cinnamon. Other dishes that complement the heat and spice of this Instant Pot Jerk Chicken Recipe are fried plantains, pineapple chow (a type of fruit salsa), and sweet potato cakes. 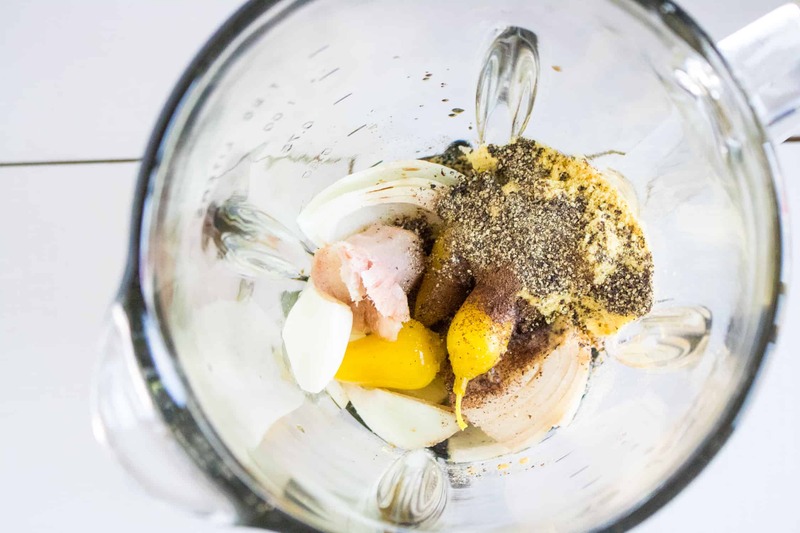 Step #1: Combine all ingredients except chicken in a food processor or blender and process until liquified. Step #2: Add chicken to the Instant Pot and top with sauce. 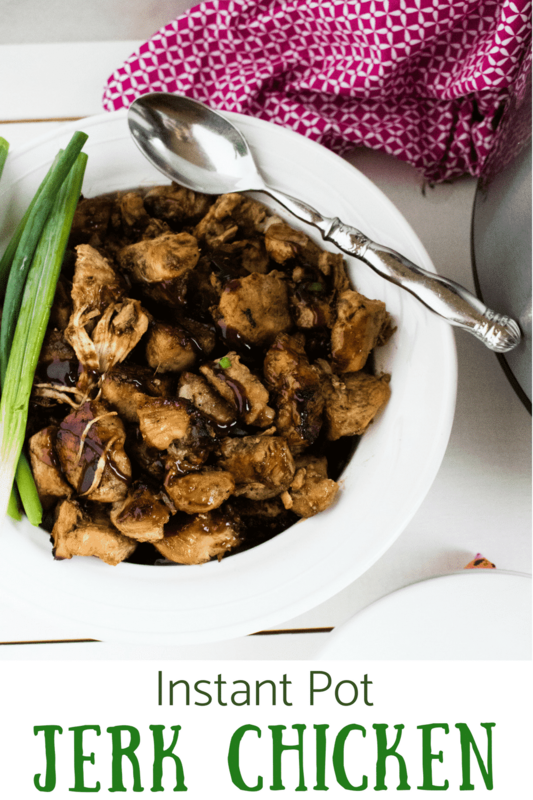 Stir and close Instant Pot. Turn pressure valve to sealed and set manual pressure on high for 12 minutes. Step #3: Do a quick release when cooking time has elapsed. 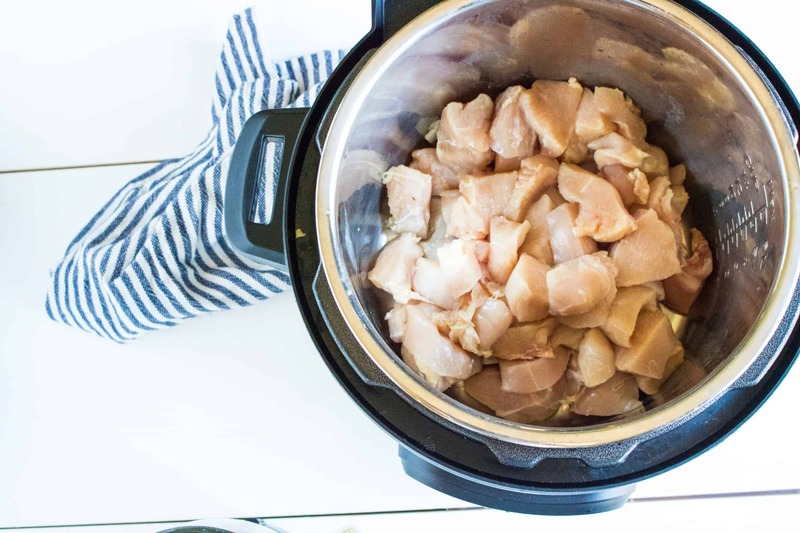 Step #4: Remove chicken from Instant Pot and spread over a baking sheet lined with parchment paper or a silicone baking mat. Drizzle sauce over the chicken. Step #5: Serve as is, or for a golden-brown finish, set broiler to high and broil for 6-10 minutes, turning once, until chicken is nicely browned. Enjoy! 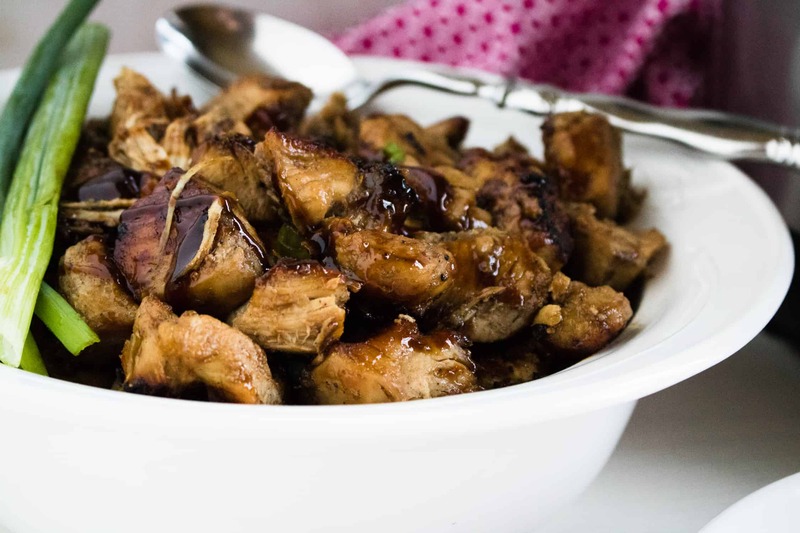 This Instant Pot Jerk Chicken Recipe is loaded with hot and spicy flavors of the Caribbean, and is so quick and easy to make! Combine all ingredients except chicken in a food processor or blender and process until liquified. Add chicken to the Instant Pot and top with sauce. Stir and close Instant Pot. Turn pressure valve to sealed and set manual pressure on high for 12 minutes. Do a quick release when cooking time has elapsed. 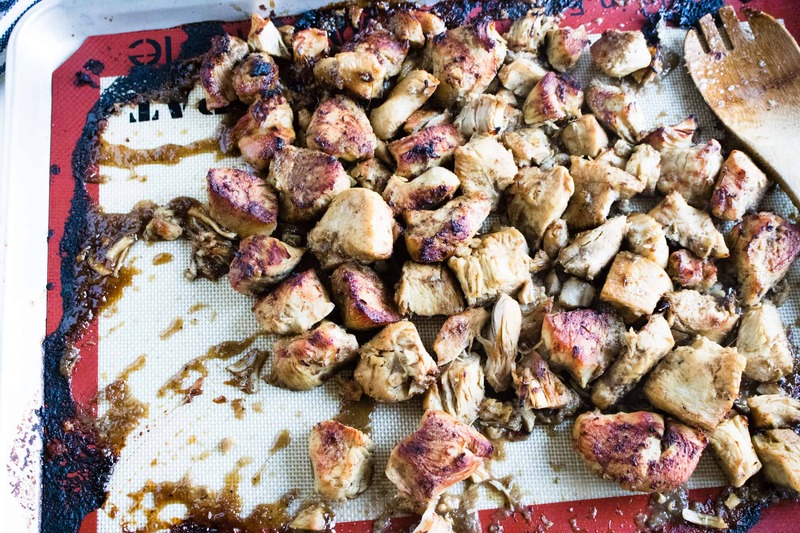 Remove chicken from Instant Pot and spread over a baking sheet lined with parchment paper or a silicone baking mat. Drizzle sauce over the chicken. Serve as is, or for a golden browned finish, set broiler to high and broil for 6-10 minutes, turning once, until chicken is nicely browned.